I had wanted to photograph this church located in the small town of Peru,Massachusetts for several years. The problem had always been a matter of light, and the fact that I didn’t get by there very often. This day, however, my companion and I had left Shelburne Falls, earlier than usual which put us in Peru at just the right time. I worked for a bit trying to photograph the building without including the wires, but it just wasn’t possible, and in the end decided that they were part of the true image and could be included without ruining it. Olympus OMD EM1 with 12-40mm f2.8 zoom. 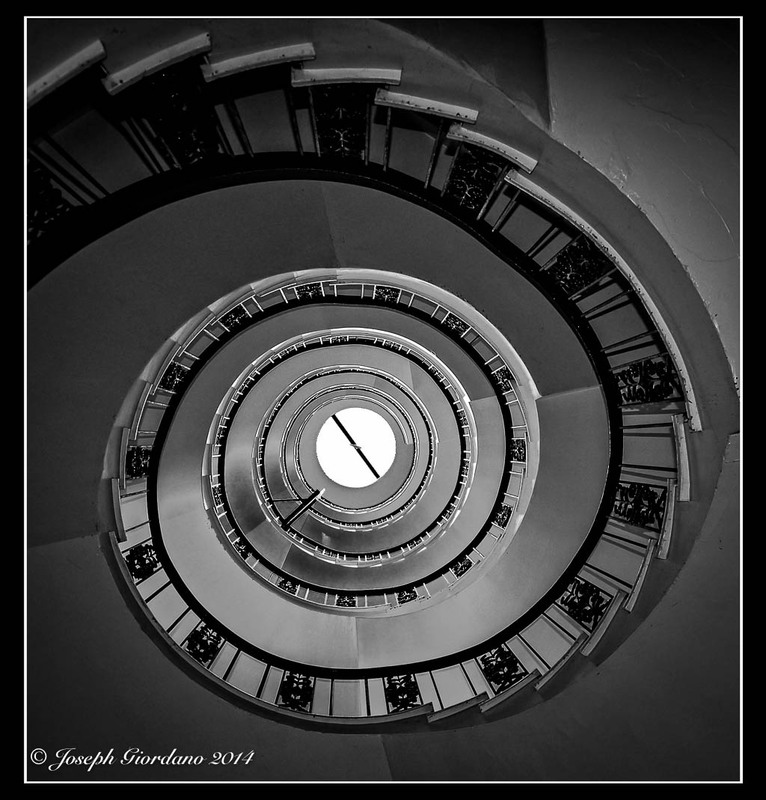 View looking up the spiral staircase at “Cheers” in Boston, Massachusetts.